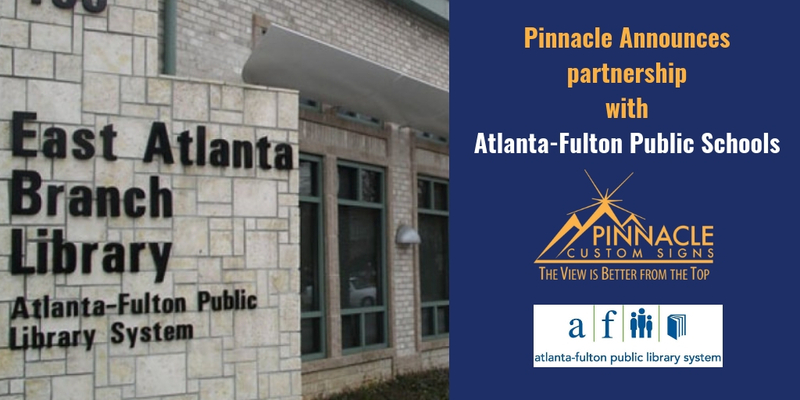 Pinnacle Custom Signs, a national sign production and installation company, is excited to announce the award of the Atlanta Fulton Public Library System’s Monument Signage for 21 Branch Libraries. The new signage is part of the Fulton County and the Atlanta-Fulton Public Library System (AFPLS) Phase II renovation of twenty-one existing library branches. This project is part of the Library Building Program and has begun Phase II of the plan and the renovation of 23 library branches including the system’s downtown Atlanta Headquarters at the Central Library. The new signage is part of the renovation of 21 of the 23 branches undergoing renovation. Pinnacle is set to work in conjunction with the AFLPS’s Wayfinding Consultant, EPY/Stanley Beaman & Sears, to fabricate and install standard monument signage for each location. 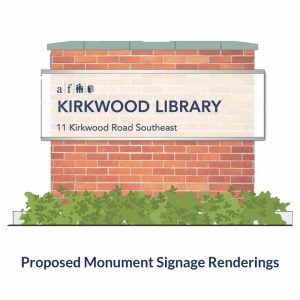 Each sign will be customized to fit each library’s topography and building material façade. Pinnacle will be responsible for providing a rendering of the designed signage for each location to the county for approval based on local sign ordinances. In addition, the firm will also provide the installation services for each of these signs during the phase II renovation for each project. Pinnacle Custom Signs provides a full range of services for their clients that include free consultation, design services, sign permitting, installation, maintenance & repair, and additional signage. Pinnacle is located in Buford, GA but provides design and installation services to clients across the United States. Please visit www.pinnaclecustomsigns.com for more information on the company.